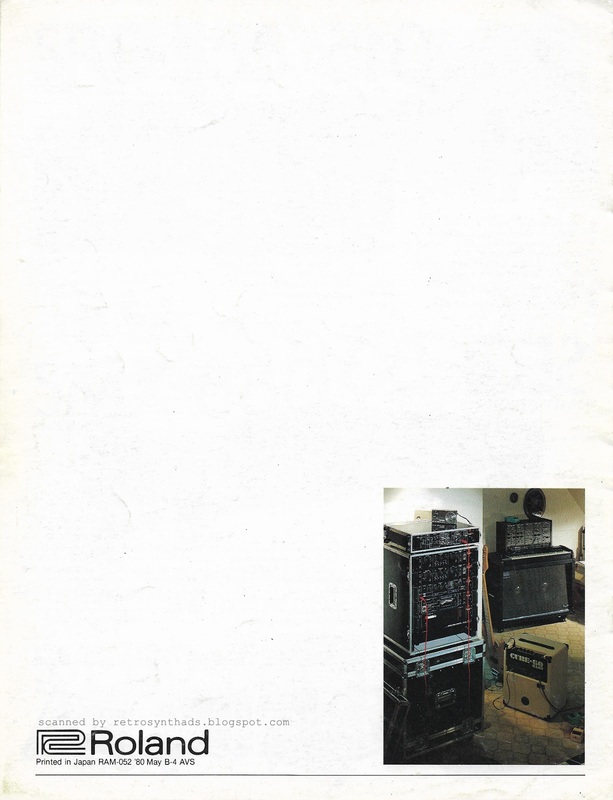 Casio LZ-1000 phase distortion and sample playback synthesizer "Why would you let your friends..." full page colour advertisement from the inside front cover of the April 1998 issue of Keyboard Magazine. Let's face it... Casio knew a good thing when they saw it. 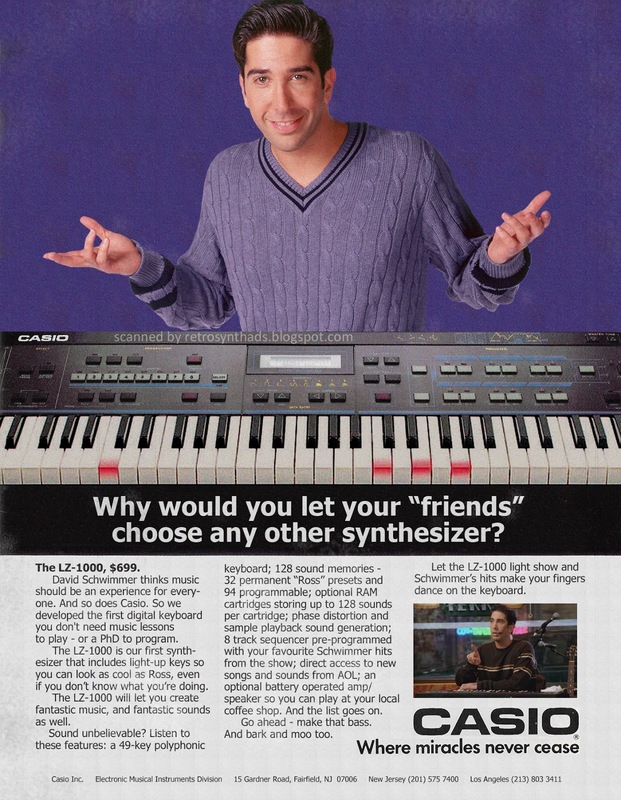 And *everyone* was as happily surprised as Casio when David Schwimmer finally got the chance to show off his virtuoistic chops on a Casio CT-460 in his hit TV docu-drama "Friends" in 1997. 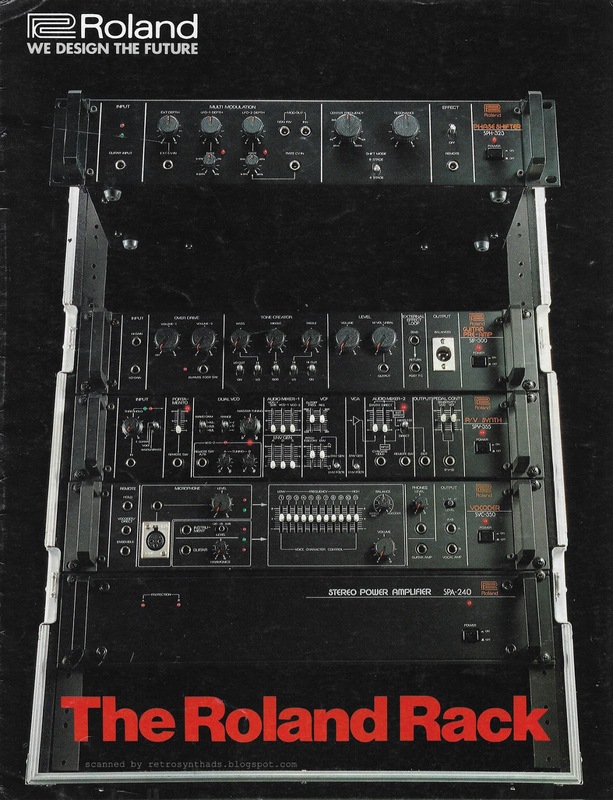 Blessed with a peerless technique, David's repertoire on the show was wide-ranging, taking in everything from Merzbow and Beethoven, to Coltrane, Parker and Monk, not to mention his own masterful transcriptions and other compositions. It was, perhaps, his sense of spontaneity and impeccable timing that only comes from years of training that made his live performances on "Friends" so fresh and exciting for the studio audience, America and the world. 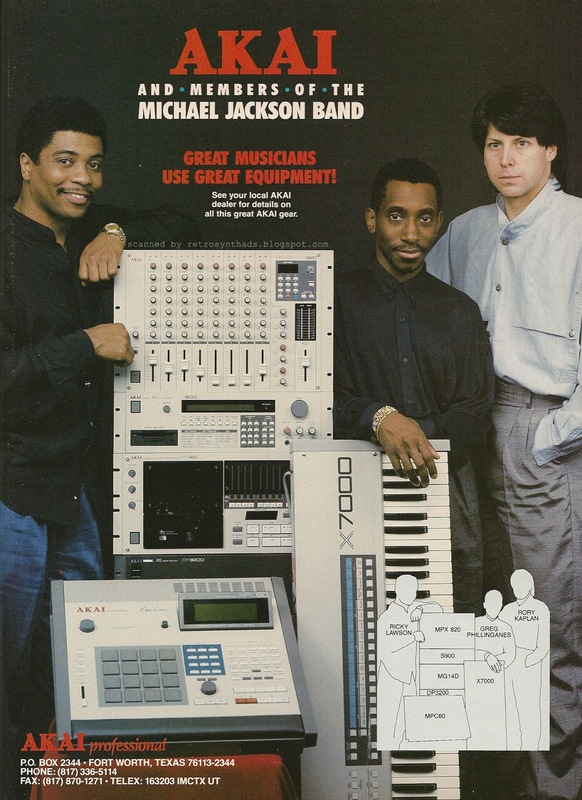 Knowing a good thing when they saw it, Casio quickly made an endorsement deal with David and upgraded his gear. 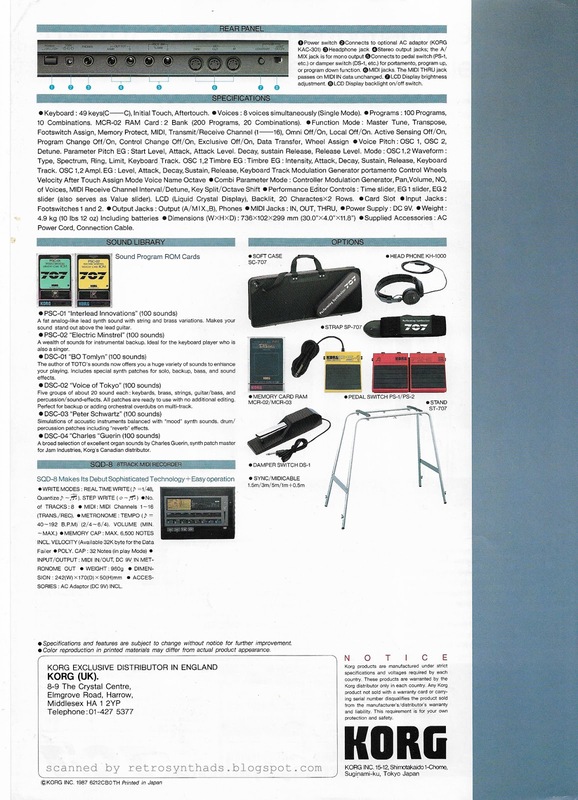 Within a few short months you could find David's trademark smile and I-don't-care-if-my-music-is-too-loud shrug on every magazine rack in Liechtenstein, Tuvalu and Saskatchewan for months to come. 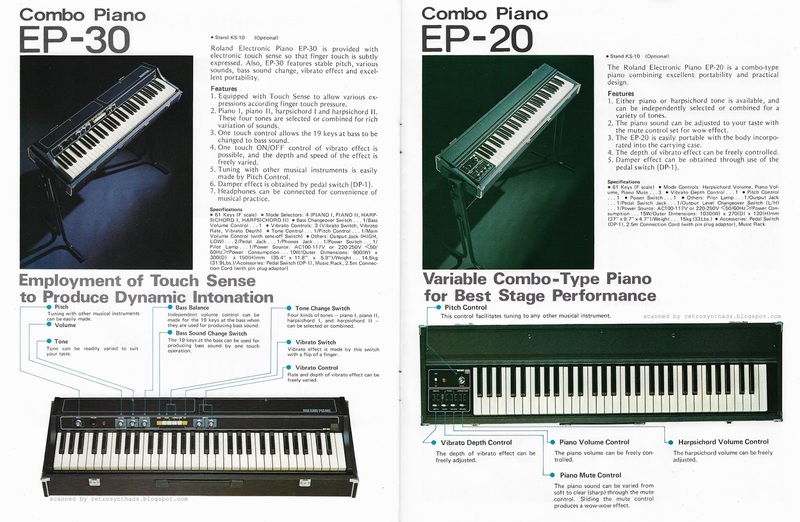 And, of course, it could also be found in this Casio LZ-1000 advertisement which Casio paid good money to place strategically on the inside front cover of Keyboard Magazine for over two years. Casio and Schwimmer were a perfect fit - an awesome sounding keyboard with some of the latest "Moo", "Bark", "Ding Dong" and "Pew Pew!" 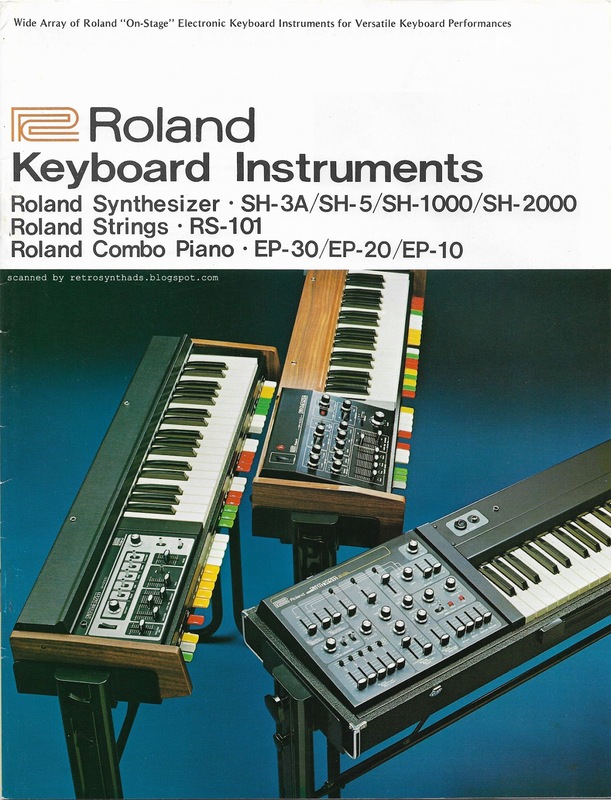 sound samples recorded to date, paired with a light-up keyboard that let new users play along with some of David Schwimmer's latest and greatest hits that came pre-programmed with the internal sequencer. 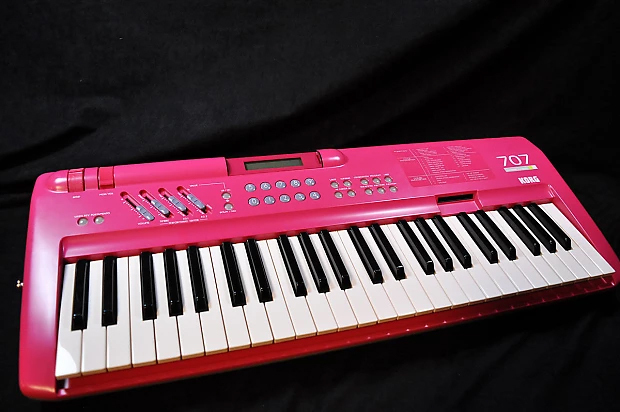 Utilizing some of the latest Internet technology, owners of the LZ-1000 could dial-up to AOL and connect directly with Casio to download Schwimmer's latest hits twice a year. 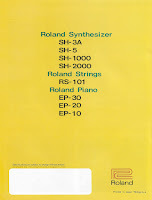 Casio's state of the art sample compression algorithms allowed users to download the package of songs, including the Schwimmer's personally recorded 16 bit/44.1kHz samples, in under six hours and averaging less than $200 in telephone and AOL fees. I managed to catch his set in Chicago at the 2005 Lolapalooza festival. His set began quietly, with David lingering over just a few short samples, avoiding the urge to head straight for the shredding post-punk that dominated his playing style during that time period. By the fifth hour, the intensity started to build, unleashing explosions of raw energy on the audience of campers next to the festival. I bought his t-shirt. Who wouldn't? Casio kept the AOL service running for over 20 years until the endorsement deal unfortunately and suddenly collapsed at the 2017 Amsterdam Dance Event in Belgium where David unexpectedly took his music in a new, totally acoustic direction. 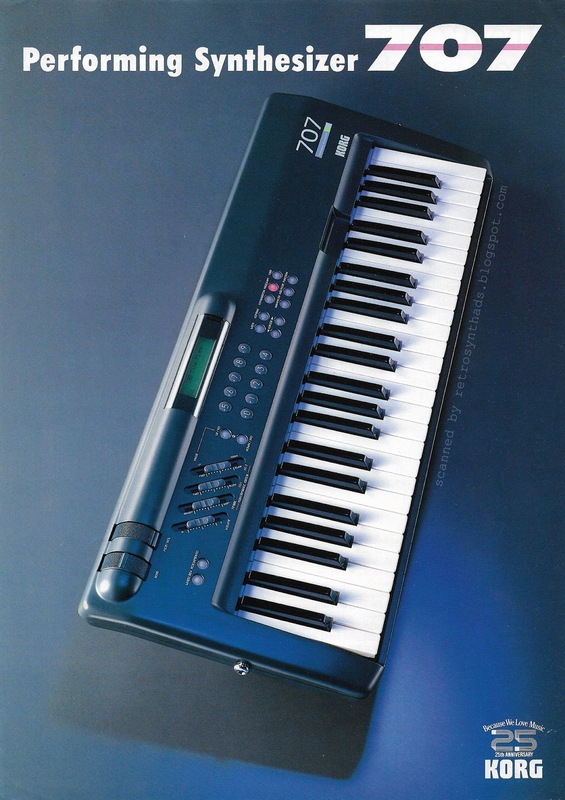 Keyboard Magazine's Jim Aikin concluded his review of the LZ-1000 in the July 1998 issue, stating "...It works, but what's with all the animal sounds? ", before giving it a solid 8 out of 10. 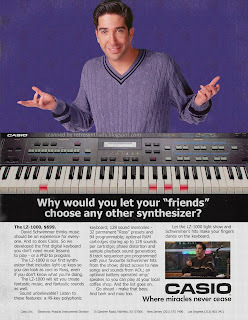 Coincidentally, Jim also reviewed Schwimmer's newly released electro album "Coffee with Friends" in the same issue asking a similar question. Here's a great look back at David's authentic and expressive playing style that captivated viewers around the world. 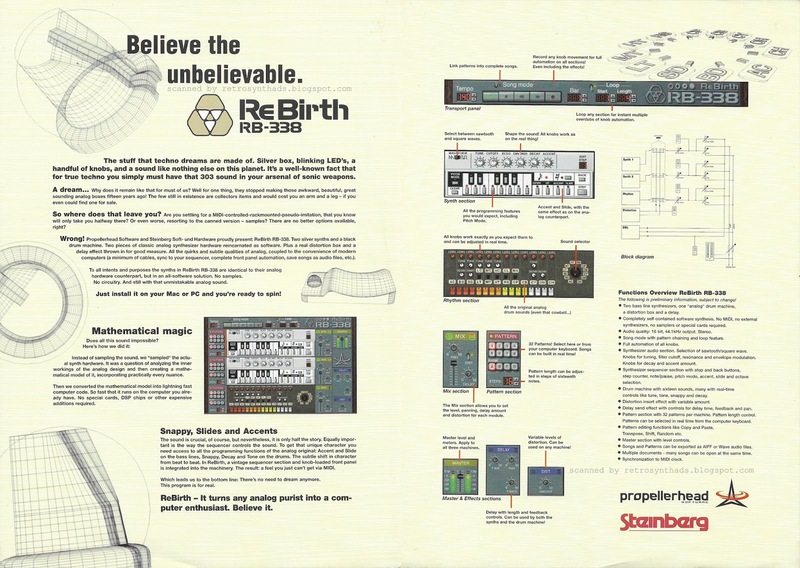 Propellerhead ReBirth (RB-338) Techno Micro Composer "Believe the unbelievable" four page colour brochure from 1997. Full disclosure - I'm a huuuuuge Reason fan. 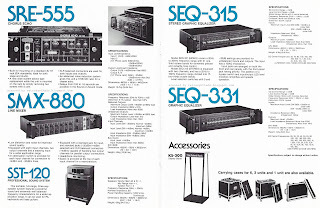 I have a great auto-load template set up that opens with two TBL3 303 emulators, and two Kongs - one with 808 sounds and one with 909 sounds. Great for when I'm on the road. Or in bed. 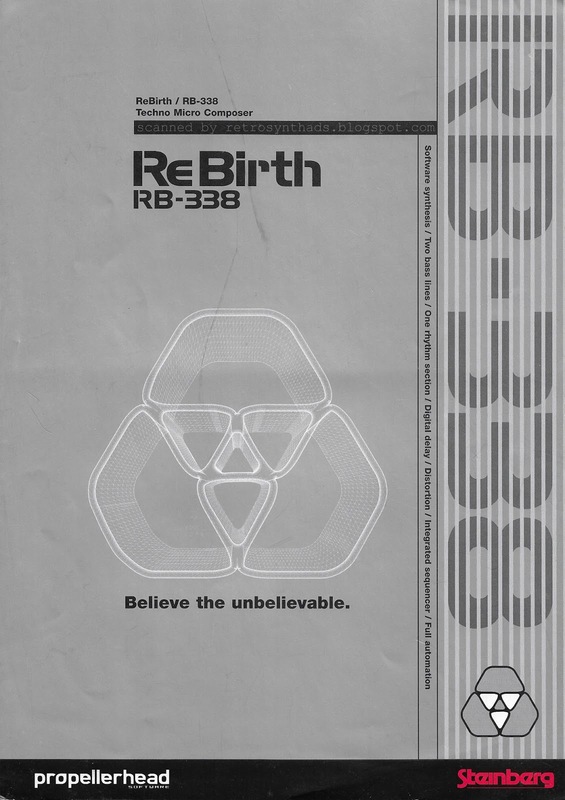 So, you can't be surprised that I was a huge ReBirth fan way back when as well. It was such a game changer. So much fun. But I was a little surprised when I came across this brochure, along with about 200 others that I got for free (from a guy who knew a guy). Reading through it brought back some great memories. 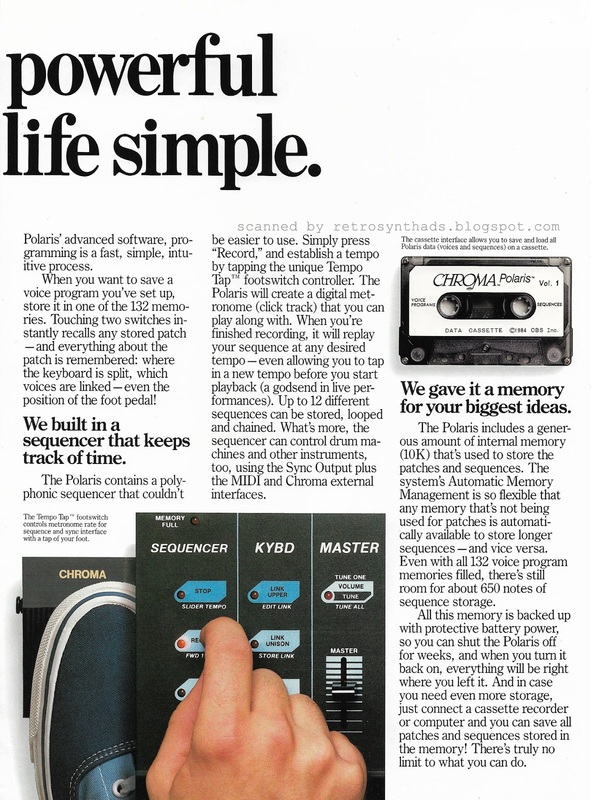 If you have any recollection of using this software, it's definitely worth the eye-ball time. The brochure itself is amazing looking - the scans of the front and back cover do not do the shiny silver colour justice. The cool design is top notch with lots of space. Just the way I like 'em. And did you catch the TWO logos? 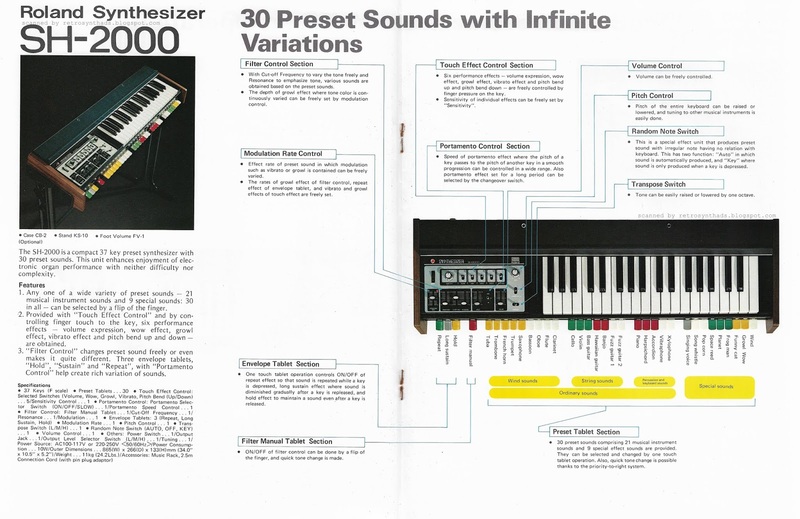 I'd forgotten how close Propellerhead and Steinberg were. 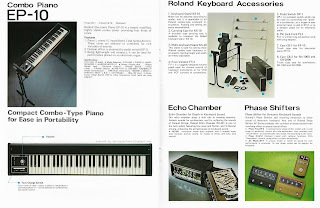 Steinberg first partnered with Propellerhead for their Recycle music loop editing software. And the success of Recycle helped keep that partnership going, with the money made helping fund the development of ReBirth. But, according to a 2013 speakhertz.com interview with then Propellerhead CEO Ernst Nathorst-Böös, that partnership ended with Reason. "...it fairly quickly became clear to us that the cultures of the two companies were very different. They were distributing our products, among other things, and did a great job of it. But when Reason came around, we decided that it was important for us to also handle those aspects of our business ourselves." 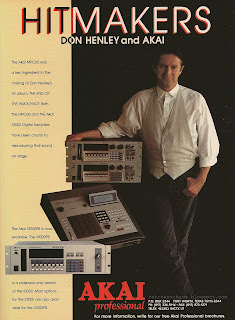 Remember, Steinberg already had Cubase. 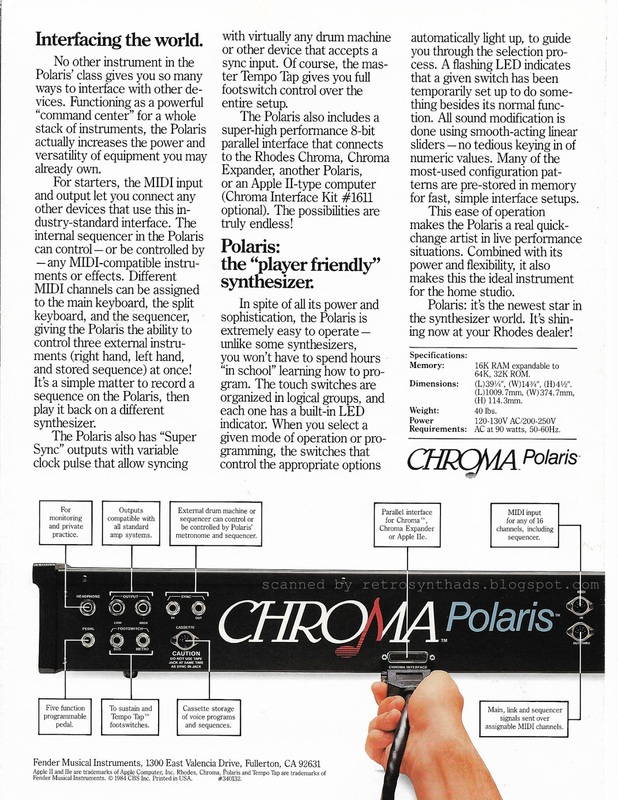 Sure, two very different DAWs, but still competitors. 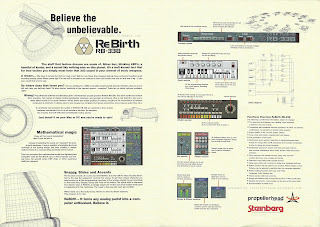 "They had Cubase and we had ReBirth. 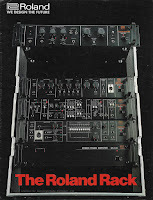 When Reason came out, it just seemed like the natural thing to do to end the distribution relationship. 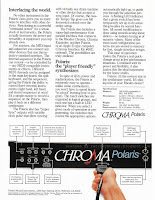 But we kept working together on making our products work well together, using ReWire and REX technologies." Ernst speaks highly of Steinberg throughout the interview. 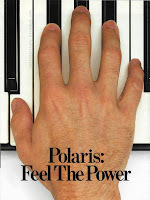 It's a good read for anyone interested. 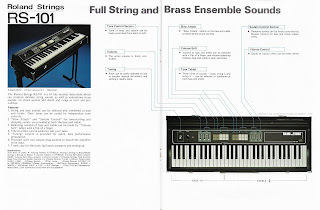 One interesting observation I made while looking through this version of the brochure is that Propellerhead never directly references the TB-303 or TR-808 in the brochure copy. 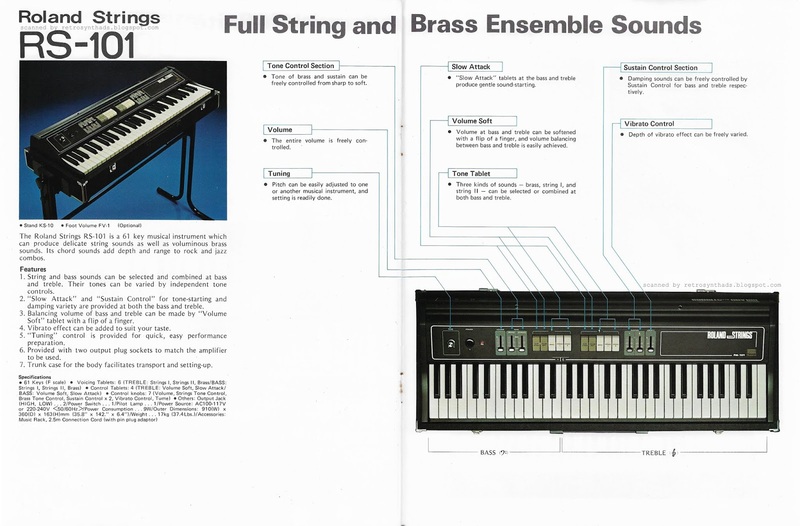 In the introductory paragraph they write about "a silver box" and "303 sound". 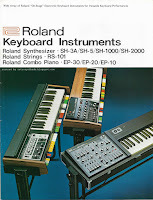 Later on they reference "two silver synths and a black drum machine". 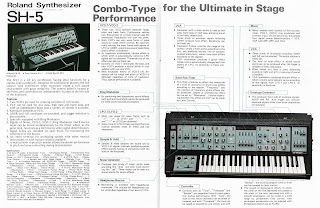 And in the Functions Overview section they reference "two bass line synthesizers, one 'analog' drum machine". 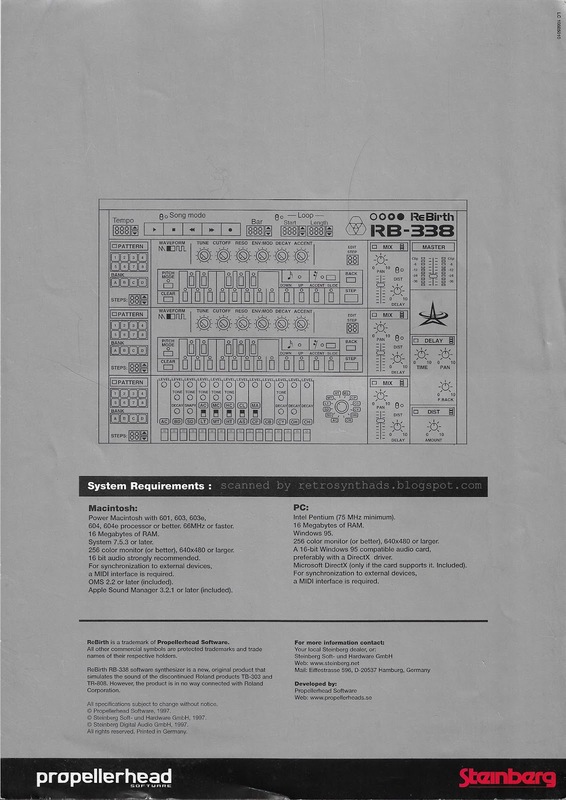 "ReBirth RB-338 software synthesizer is a new, original product that simulates the sound of the discontinued Roland products TB-303 and TR-808. 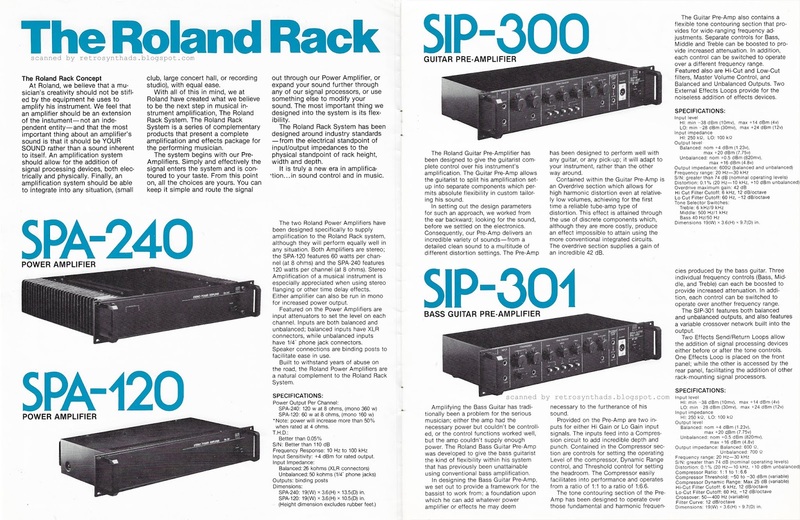 However, the product is in no way connected with Roland Corporation." 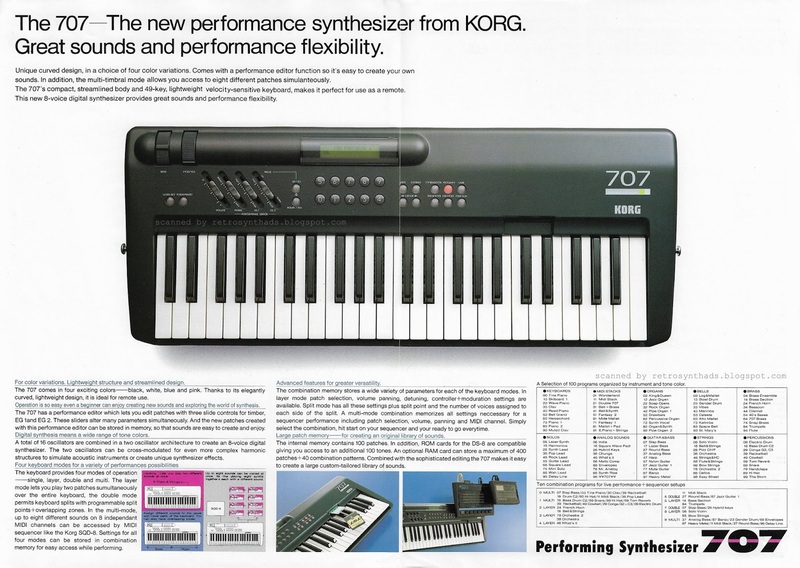 Korg 707 synthesizer "Performing Synthesizer" four page colour brochure from 1987. I gotta say I love the aesthetics of the Korg 707. 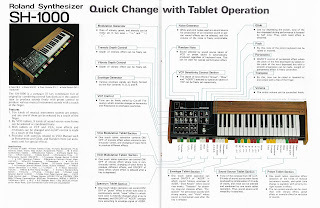 For one, it has the same form factor as the Poly-800 with those lovely guitar strap pegs on the sides. 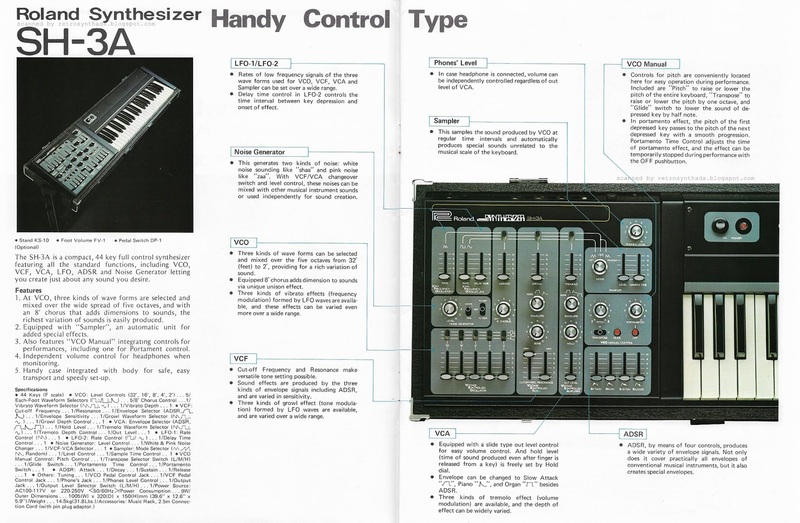 But, where that 800 modulation joystick isn't in the best position to bend notes and add LFO while slung around your neck, the 707 has two modulation wheels conveniently located on the top-right edge - the perfect position for your left hand. 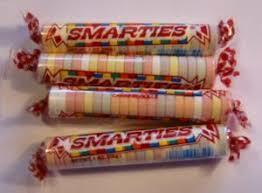 But more importantly, the 707 have those delicious smarties buttons. They make my mouth water. 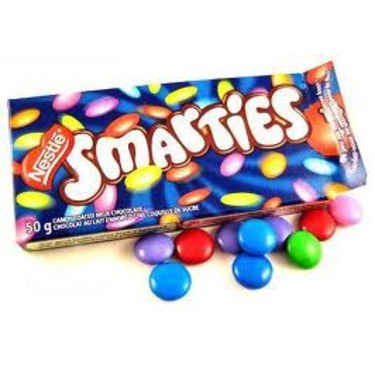 And so in Canada, and I'm guessing elsewhere, those rounded buttons found on Korg synths like the M1 and 707 have been nicknamed "smarties" buttons. And I love 'em. 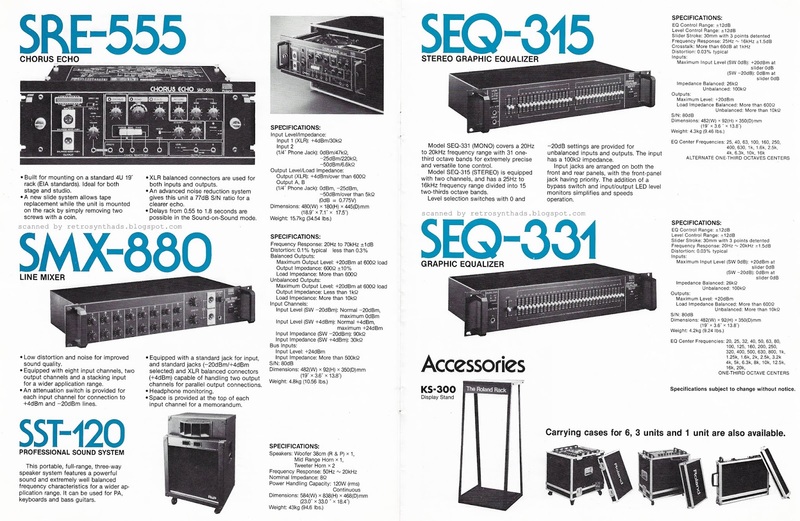 Almost as much as I love the programmers behind the sound of the 707. 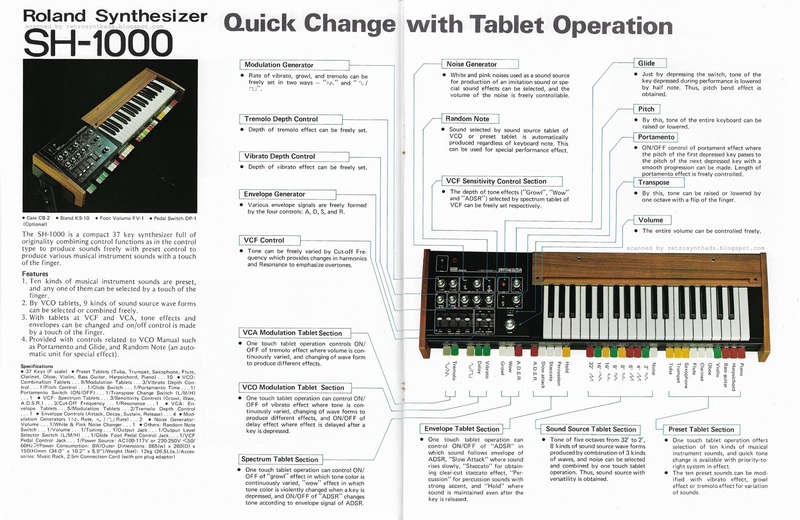 The 707's engine is a 4-operator FM synth. 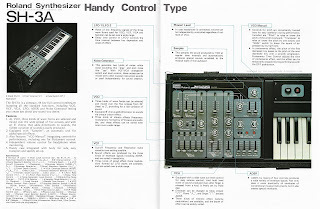 But, until like most other FM synthesizers that require physics degrees and unmanageable menus of carriers, modulators and ratios, the creators of the 707 have done away with the complicated programming found on the DX-100 or TX81Z, and replaced them with three sliders for tibre, EG1 and EG2. 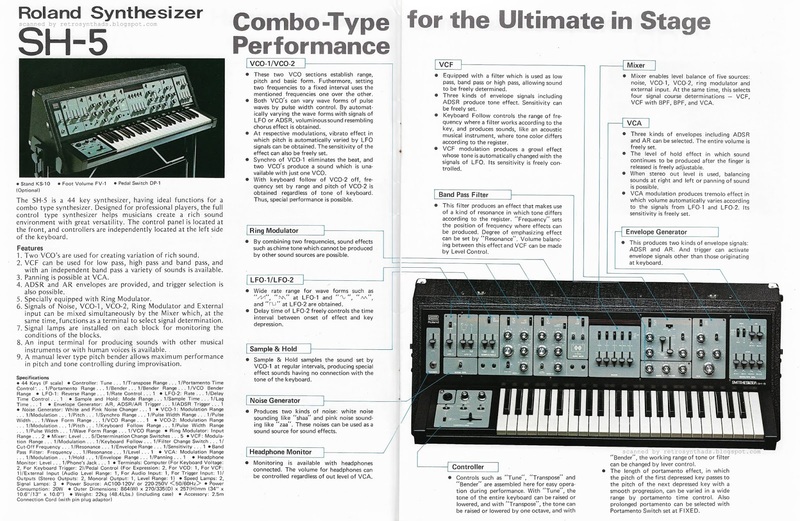 As it says in the brochure, "these sliders alter many parameters simultaneously". 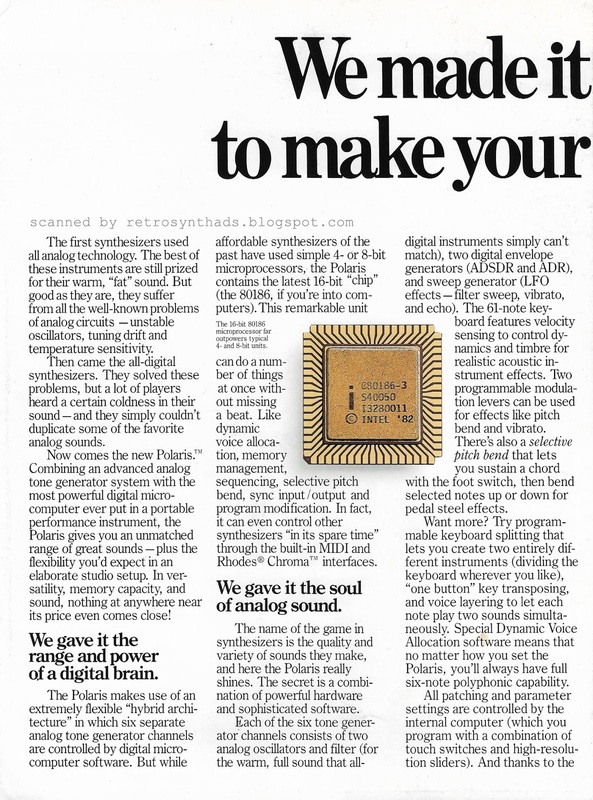 I'm hearing your argument already - even just messing slightly with one simple parameter on a classic FM synthesizer can quickly turn your lovely string sound into something really crazy and unmusical. And now with the 707, attaching one slider to many different parameters all at once is going to lead to total chaos really fast. 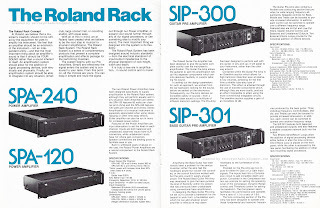 The smarty-pants (see what I did there) at Korg apparently created fixed frequency ratios and algorithms so that the 707 is much more likely to pump out musically useful tones when those sliders are moved. 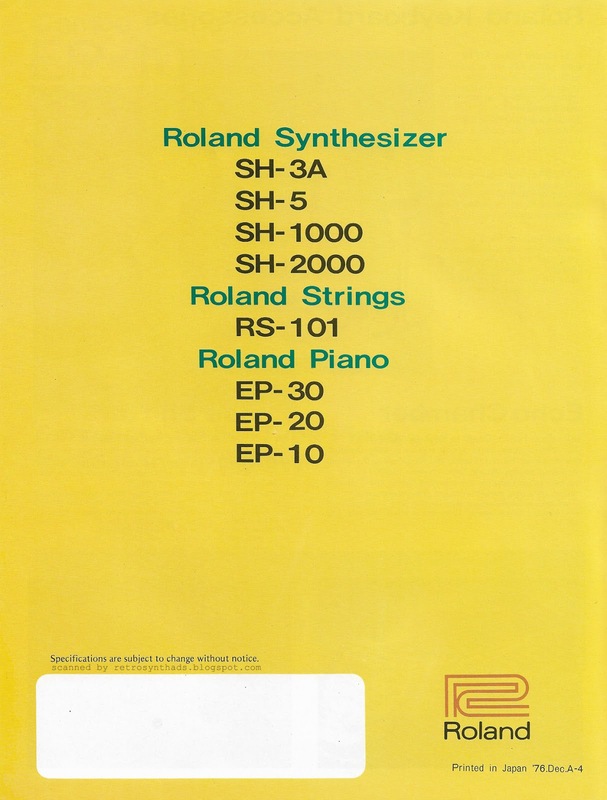 Sure, if you're Autechre, you may not like this much... but your average musician will dig this simplification lots. 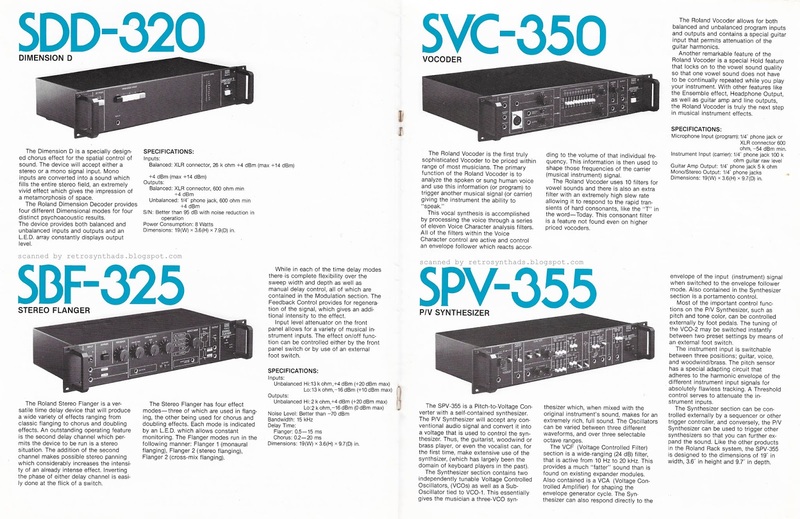 And speaking of beauty, the brochure is a thing of beauty too. Large cover image, even larger photo on the inside pages. But two things in particular stood out for me. 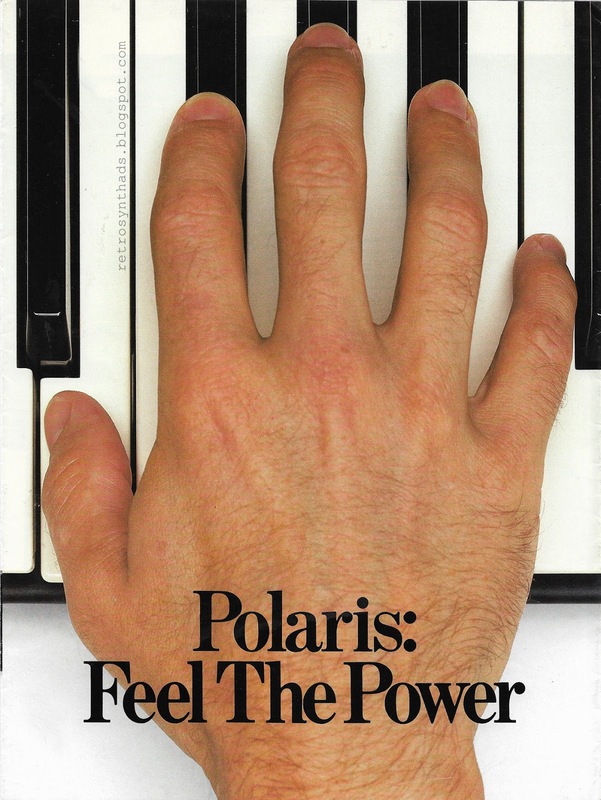 The first is that lovely little Korg 25th anniversary "Because We Love Music" logo in the bottom right corner of the front page. Sure enough, I used my fingers and counted back 25 years from 1987 and yup -1962. Correct! And I like that the logo isn't a big honkin' thing in the middle of the page either. It's nicely sized and positioned. A simple nod to the past. The 707 came in FOUR DIFFERENT COLOURS. WHAT?!?! Was I the only one that didn't know this? Black. White. Blue. AND PINK. 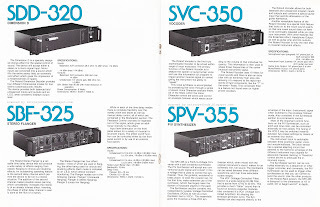 I snarfed this photo from a 2-year old Reverb posting. That thing looks gorgeous. I want one.